Two months down, one to go. I am so proud of you. The stories keep coming in! Check the comment at the bottom. 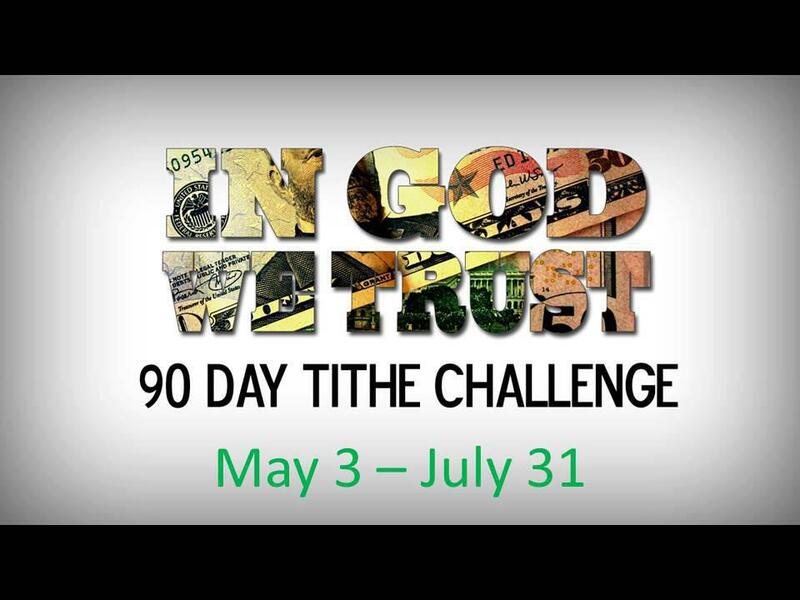 I am praying for God to bless you and your finances as you continue this journey called the Tithe Challenge. A tenth of all of his loot, riches, and possessions right there on the spot! Who is this? Listen as Hebrews 7:2-3 describes him, “Melchizedek means king of righteousness, without beginning of days or end of life, a priest forever” Most biblical scholars agree that this either a type of Christ, which means it is meant to illustrate a lesson about Christ OR an appearance of Christ himself. Abraham gives Christ, 10% of everything he just earned. Christ brings bread and wine, a picture of the sacrifice He would one day make, “this is my body… this is my blood, which is poured out for the forgiveness of sins” (Matt 26:26-27) And He blessed him. Before the Abraham had a son and became the father of Israel, he gave ten percent. Before there was a nation of Israel, there was the giving of the tithe. Before there was the law, there was giving the tenth. Before there was a recorded Bible there was giving the tithe. Before any of that; in the beginning there was the tithe. So don’t let anyone try to convince you that tithing is from the law, it’s before. Or that tithing is something the early church or modern church came up with, it’s before. Or that tithing was only for the nation of Israel, it’s before. Before anything, there was Christ. Before we pay ourselves, we give back to the One who has given us everything. Christ is the one who gave His body and blood for us, the one who blesses us in every way. Thank you Jesus for all you have given and before anything we want to give back to you. This entry was posted in Tithe Challenge. Bookmark the permalink. We have another story! I am going to school and I get paid from the VA every month. This month I didn’t get my money. I called the VA and like everything related to the VA, they said it was going to be a few weeks to a few months for them to figure it out and get the money to us. We have money in savings so I wasn’t that worried about getting through the month. Last week I received a check for $200 over what my school money would have been. I guess I was in a lawsuit that I didn’t even know about. So we were able to get through the month without having to touch our savings. It is amazing to me how money can come from nowhere and anywhere!